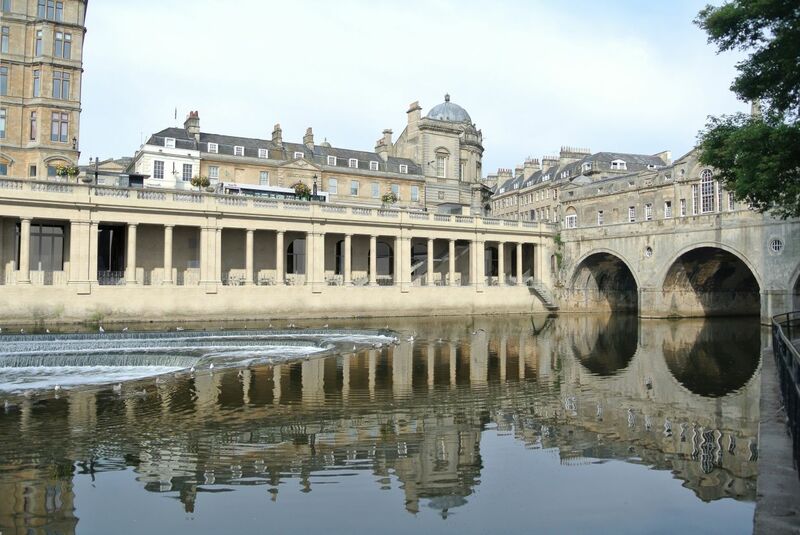 The regeneration of riverside vaults overlooking Great Pulteney Bridge and Weir in the centre of Bath is part of the first stage of a much larger regeneration project in the city of Bath. A sensitive heritage project with many technical challenges, we secured listed building consent to create a new commercial zone for one of the most characterful locations in Bath. Bath and North East Somerset Council is looking to bring the redundant Grand Parade – adjacent to Pulteney Bridge – into commercial use. The scheme is part of a larger regeneration project involving the Guildhall, Market space and Art Gallery and seeks to reopen the ancient pedestrian routes of Medieval Slippery Lane and Boat Stall Lane passing through the last surviving gate of Bath’s former city wall, now out of view below the 18th century street level. Plans include creating new restaurants alongside the Pulteney Weir to make the most of the views of the three massive arches of the bridge. A lift and stairs from road level will provide access to the restaurants below. We acted las lead conservation planners and lead consultant designers for this project. One of the main aims of the project is to open up two historic pedestrian routes between the river and the city walls that pre-date the bridge but once provided access to ferries across the river. Of these, Boat Stall Lane passes through the portals of the old Eastgate, where large hinge pins remain in place. 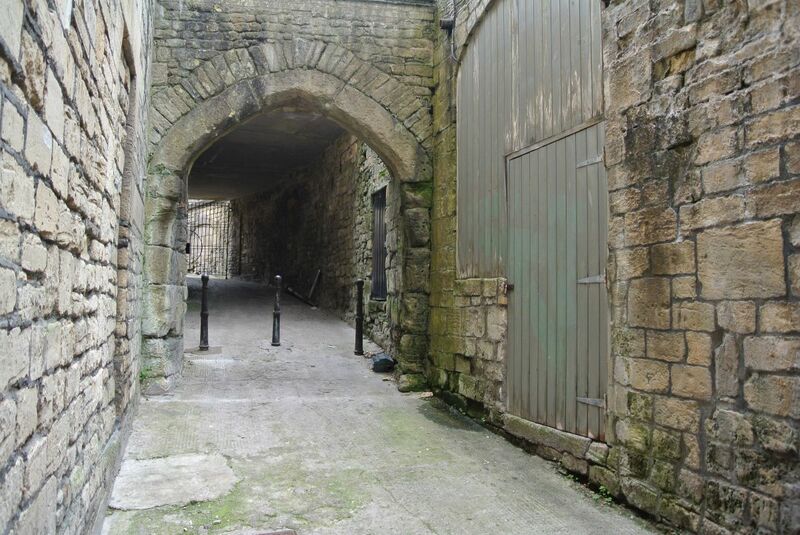 This is the only one of the city’s medieval wall gateways to have survived the expansion of Bath in the 18th century. Slippery Lane winds steep and narrow alongside the old city wall. Both have been out of the public realm for many years. The technical challenges of this site are considerable. Situated within Bath’s central food zone, with the existing floors set below the projected flood level, a flood protection strategy was needed. The vaults support a highway with the stonework reinforced by a substantial steel structure, to which clear access must be retained. As such a busy tourist venue the surrounding streets are used by pedestrians, tourists, market traders, buses and public service vehicles. Adding a completely new layer of use that needs higher level of servicing, has needed much careful consideration. The project also seeks to bring the Parade Garden’s Park into full use as part of the access plan, with the first phase of long term ambitions by the Council to bring enhanced commercial, social and cultural life to the Guildhall area. This aims to enlarge the size and importance of its markets, bringing new uses to office spaces being relocated elsewhere and enlarging the public realm into areas previously used for car parking.